Whether you’re in the market for a brand-new Ford vehicle to drive around Murrell’s Inlet or you’d prefer to get behind the wheel of a used model, Beach Ford is the place to go. And when you finance with Beach Ford, you can expect low interest rates and competitive terms, regardless of your credit history. Find out what’s in store when you decide to finance with Beach Ford. Conway and Florence customers can finance with Beach Ford in two distinct ways. First, they can work with the finance specialists at the dealership to secure a loan. When the loan is paid off, the car you financed will then be owned by you. Alternately, you can finance in a less traditional way by leasing a car. This means you pay for the depreciation of a vehicle over a set period of time. At the end of a lease term, you return the vehicle to the dealership. You can work with the finance department at Beach Ford to determine which financing option works best for you and your driving style. When you finance with Beach Ford, you’re in for a quick, straightforward experience. That’s because our finance specialists work closely with various financial institutions so that we can provide you with the best financing options possible. Whether you have good credit, bad credit, or no credit at all, you can rest assured that we have a relationship that will serve you well and get you a solid loan at competitive rates. And all you have to do to get started is complete our secure online credit application. 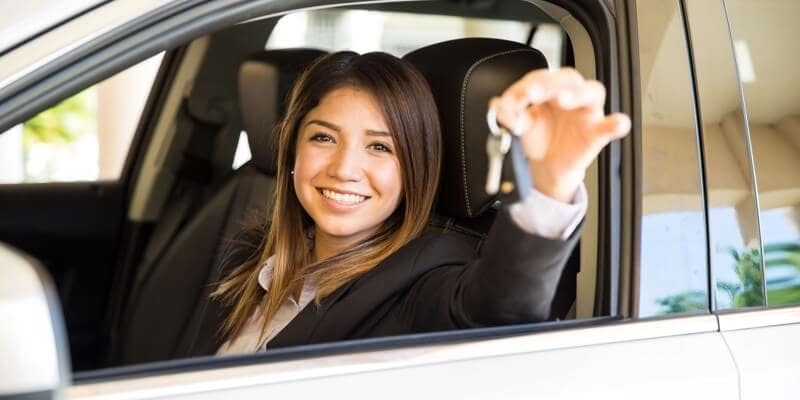 Once you do and you’re preapproved, your time at the dealership can be spent finding the exact vehicle for you, rather than fretting about financials. Turn to Beach Ford when it comes time to finance your next vehicle. We provide the warranty options you need with the ease you crave. Simply contact our team when you’re ready to plan your visit!